If you plan to use the devices in meetings with clients or prospects, renting a high-quality, state-of-the-art machine can boost your image. Not only that, since the quality of any presentation using these machines is so dependent on the size and brightness of the room it is presented in, renting allows you to customize your equipment choice based on your needs every time. In short, you’ll always have the perfectly sized and powered machine for your needs when you rent. 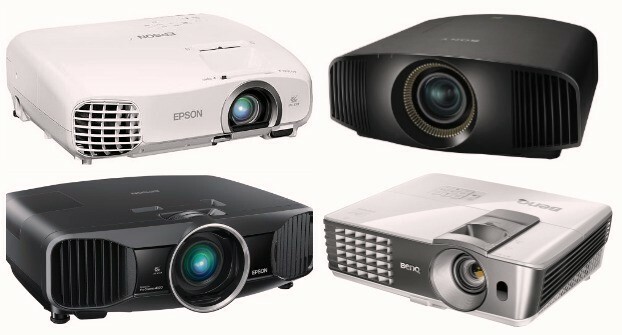 Projectors with screen for Rental in Dubai with affordable price by VRS Tech. Where as DVD projectors come in handy during company presentations or product information. They come with a built in DVD projector which can be used to play Audio Visual and connection to an external computer for visuals is not required. High Definition projectors give video output with rich and vibrant colors and sharp video quality. Large venue projectors are often helpful in large conventions or trade-shows where there is a large audience. VRS Technologies also provide projectors for short lease of six months to a year. The qualified technicians are willing to provide onsite solutions after renting a projector. Ace your presentation with a high quality LCD projector, with screen for Rental in Dubai.